Spring lamb is coming into the shops and this tender meat is traditionally eaten at Easter. 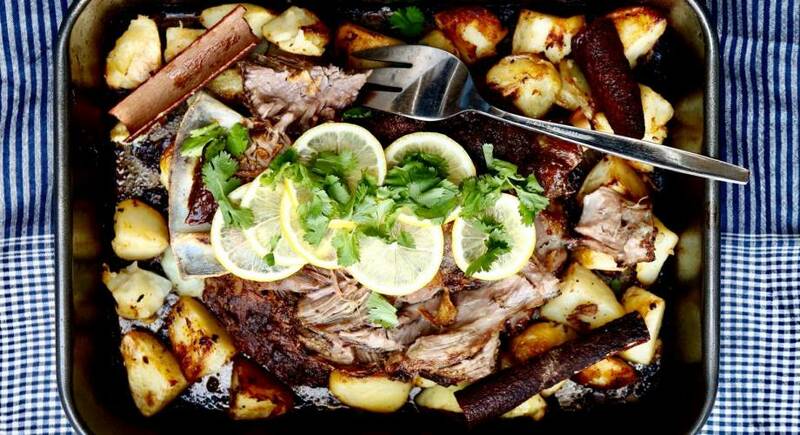 Our recipe for cinnamon spring lamb is a great way to serve lamb. It uses a formidable list of spices, but don’t be daunted by that as they are all working to making you work better and the lamb even more delicious. Serve with rice. The recipe is in my book ‘A Cupboard Full of Spices’. Purchase the book here! Heat the oil in a deep pan and add cardamoms, cinnamon bark, cloves and bay leaves for 5 seconds, before adding the onions and saute until a golden brown caramelised colour and the water has evaporated. This is a slow process (20-25 minutes) and it should be cooked on a low heat. You will need to stir every now and then, but if you’re using a lid then ensure you don’t allow the water to fall into the pan. Add garlic and ginger and cook for a further 5 minutes on a low heat. Add the dry spices of ground coriander, ground cumin, cinnamon powder, turmeric, salt, chilli powder and the fresh coriander. Stir in the spices and once again cook for 5 minutes to release the essential oils from the spices. Add the cubed lamb, mixing thoroughly with the spices, increase the temperature slightly to seal the meat and maintain the temperature at medium until the meat is sealed. Once this is done, return the heat to low and place the lid on the pan. Cook for about 10 minutes on a low heat until the spices are infused and soaked into the meat. Now add the tomatoes and mix well. Cook without the lid for a further 5 minutes or until the oil separates from the mixture. Once the acidity of the tomatoes has begun to breakdown, replace the lid and simmer for 20 minutes, occasionally stirring or shaking the pan to ensure that I’s not sticking but don’t be tempted to lift the lid off too frequently as the collection of steam is important to the cooking process. Add 300ml of hot water for half a kilo of lamb or 400ml if you’re cooking 1kg of lamb. Stir gently and continue cooking for a further 25-35 minutes or until the lamb is tender. If the mixture is too thick, add a little water to loosen to create more gravy. If it is too thin, then add a generous teaspoon of tomato puree. Once cooked remove from the heat and leave to stand for a few minutes. Garnish with thin slices of ginger, coriander and a tiny sprinkle of garam masala and then a squeeze of lemon juice.